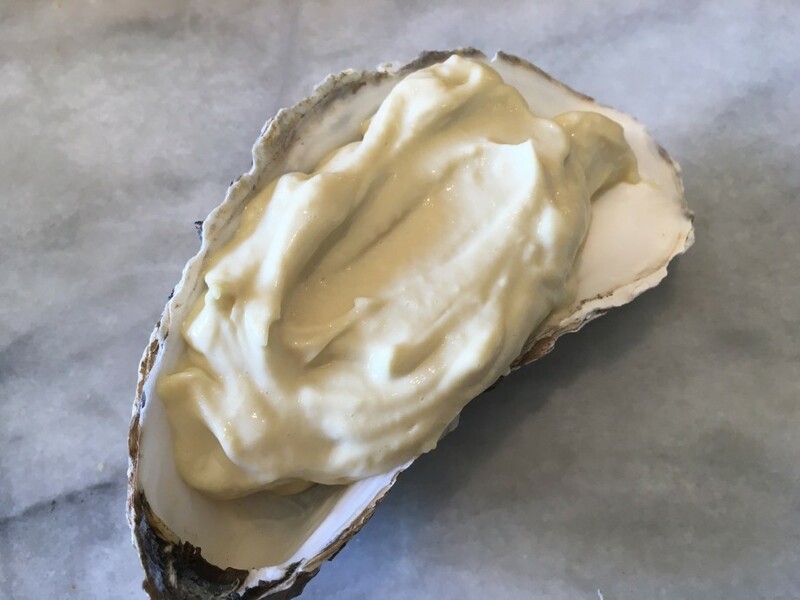 Homemade mayonnaise flvaoured with fresh oysters. Oysters are Marmite-there is no middle ground: you either love them or hate them. I am firmly in the lover’s camp so on any visit to the fishmonger I’ll throw in a few oysters for an apero treat. When I lived in France Sunday mornings through winter meant a trip to the market square to buy half a dozen oysters. Arcachon was not far so there were beautiful oysters aplenty. I would eat them every day if I didn’t loathe shucking them so much. 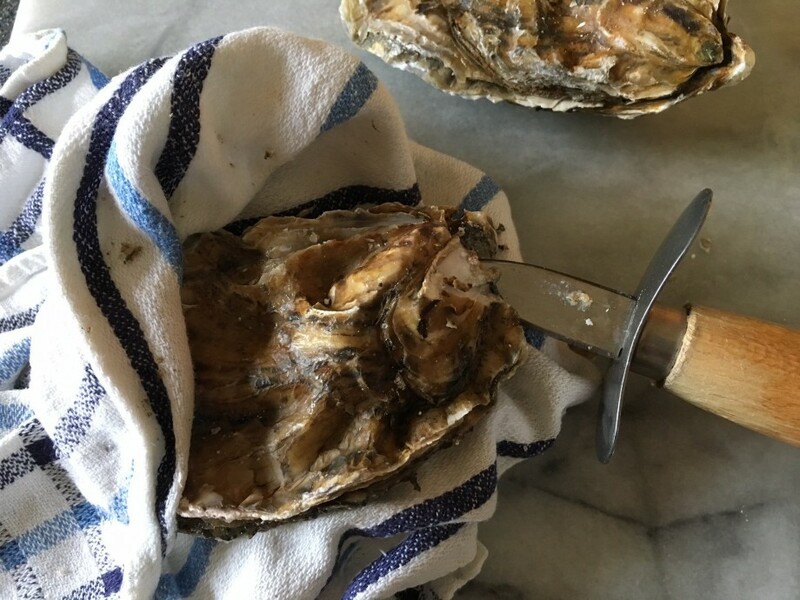 On that subject, invest in an oyster knife if you haven’t got one-they’re not expensive and the molluscs are impossible to open without one. This is an extraordinary mayonnaise which, weirdly, goes very well with steak-but I suppose surf and turf has long been a culinary thing. Try adding a touch of oyster mayo to steak tartare. 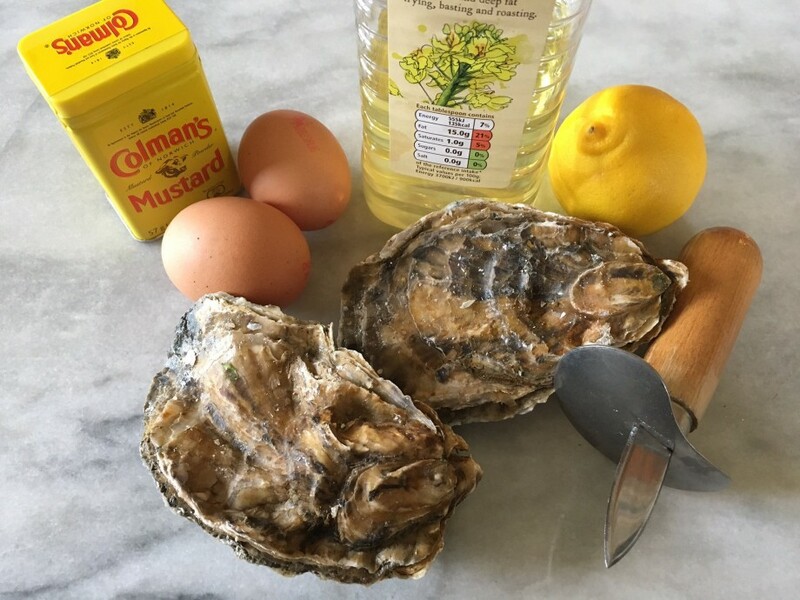 Shuck the oysters and put the flesh in the small bowl of a food processor along with the egg yolks, mustard powder, a good pinch of salt and the lemon juice. Blend for 30-40 seconds. With the motor still running slowly drizzle in the oil. Taste and season with a little more salt if it needs it. Spoon into a bowl and chill until ready to eat. Eat with 48 hours.